>Well, made it through the carnival grand finale in Santo Domingo this year with my camera so I have pics and videos to share. The carnaval was great! Lots of amazing costumed humans and non humans too. The crowd was well behaved in general except for the occasional thief doing what they do best, taking advantage of people enjoying. Enjoy the videos and pictures and try and visit us for the carnival next year. It will be an experience you will never forget. 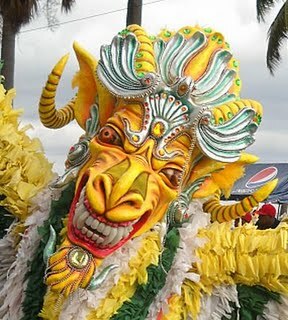 For more information and the history of Carnaval Dominicano check out my web site. Events carnaval, carnival, costume, pictures, santo domingo, video. permalink.